A 3.0 magnitude earthquake hit east Tennessee about 12 miles south of Knoxville during the early hours of Monday morning, the U.S. Geological Survey reported. “Light shaking” was reported around 4 a.m. in Maryville, a city of about 27,000 people where the effects of the quake were concentrated, reported the Knoxville News Sentinel. No damage has been reported yet. The earthquake happened in the East Tennessee Seismic Zone, a relatively active earthquake area that includes parts of Tennessee, Georgia and Alabama, according to USA Today. Tennessee’s biggest earthquake also happened near Maryville in 1973. It was a 4.7 magnitude quake, reported the Knoxville News Sentinel. To put Monday’s 3.0 magnitude earthquake in perspective, a pair of earthquakes with magnitudes of 7.0 and 5.8 hit near Anchorage, Alaska, on Nov. 29. The earthquakes caused the Tsunami Warning Center to issue a tsunami warning for the area surrounding Anchorage, Alaska’s largest city, but the warning was soon rescinded. Video of the earthquakes’ effects showed people hiding under their desks, roads collapsing and products falling off of grocery store shelves. 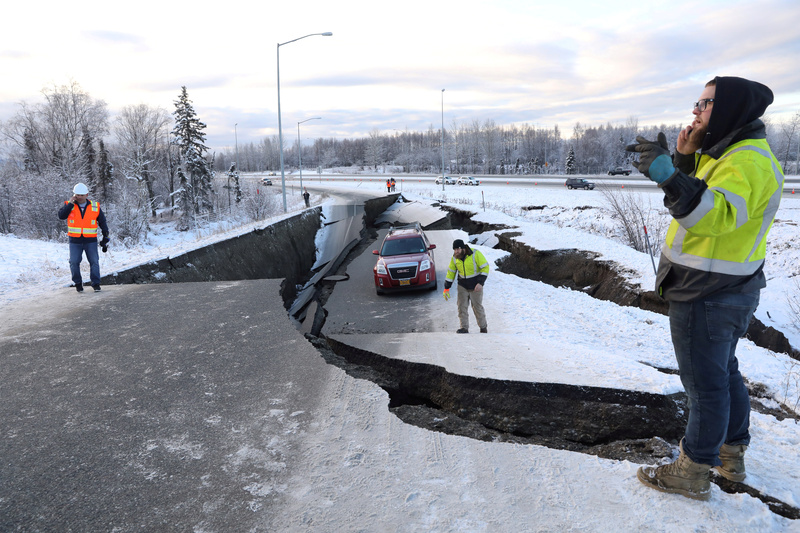 No one died in Alaska’s late November earthquakes, reported Curbed.